Try Maui Jim polarised prescription sunglasses. “Love them or return them” for a full refund within 60 days. Offer valid for Maui Jim prescription sunglass orders purchased between 1st May – 31st October 2018. (combined frame and lens). During this programme, you may, for any reason, their prescription pair of Maui Jim sunglasses within 60 days of their sunglasses being available for collection. Returns must be made via Taylors Opticians. Sunglass returns should be in their original case and frames/lenses should not be damaged (i.e. large scratches, cracked/chipped lenses). Maui Jim are the market leaders in polarised lens development. Glare washes out colours, obscures details, and fatigues your eyes. PolarizedPlus2® lenses eliminate 99.9% of glare, allowing you to see the world at its brilliant best. Featuring the industry’s most advanced production techniques, their patented processes create an amazing difference you’ll see immediately. Maui Passport Prescription Sunglasses offer improved visual acuity with the widest field of view possible, enabling you to see edge to edge clarity. Lens options are further enhanced with the choice of gradient and mirror tints as well as an impressive selection of lens materials. 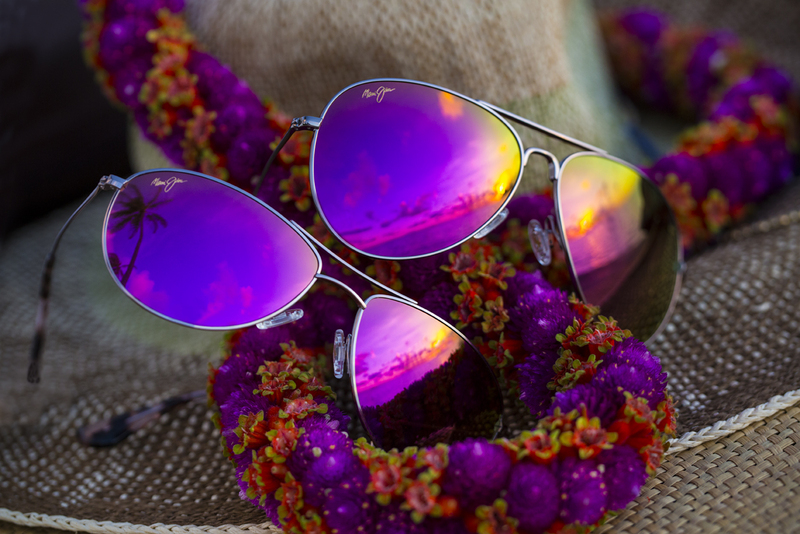 MauiBrilliant – Maui Jim’s most advanced lens material that features optics nearly as clear as glass with just one-third of the weight. View our extensive range of Maui Jim ophthalmic and sunglass frames in store and ask any of our experienced staff about lens options to best suit your needs.